Orrin Hatch, a Utah Republican, issued two dramatically different statements regarding allegations that his former chief of staff abused both of his ex-wives. The women publicly accused Rob Porter of engaging in a pattern of violence over a period of years. Hatch first called the allegations “politically motivated,” but then said he was “heartbroken” by the news. 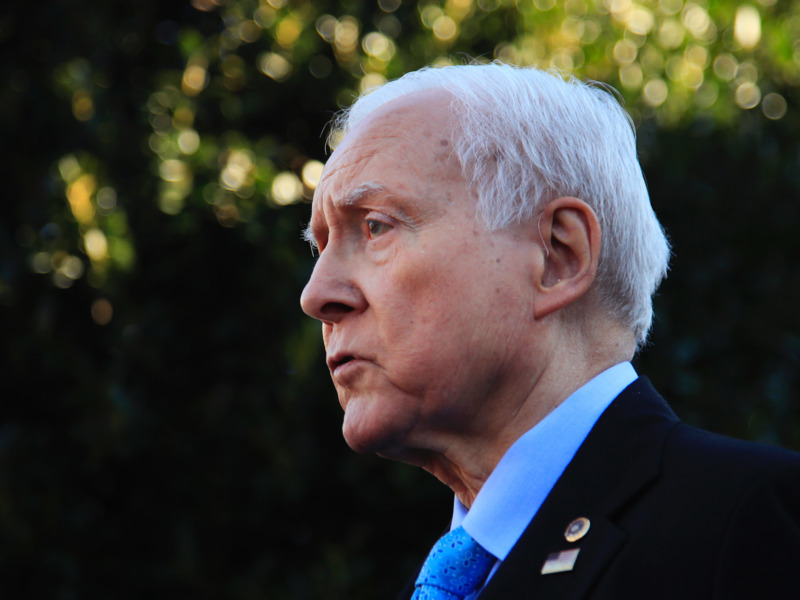 Sen. Orrin Hatch of Utah performed a remarkable about-face on Wednesday after the second major news outlet in a row published allegations of spousal abuse against Rob Porter, Hatch’s former chief of staff. Porter’s two ex-wives, Colbie Holderness and Jennifer Willoughby, both accused him of physically and mentally abusing them for years.